I've been in the fitness industry for over twenty years, and I'm the personification of "if you love what you do, you'll never work a day in your life". 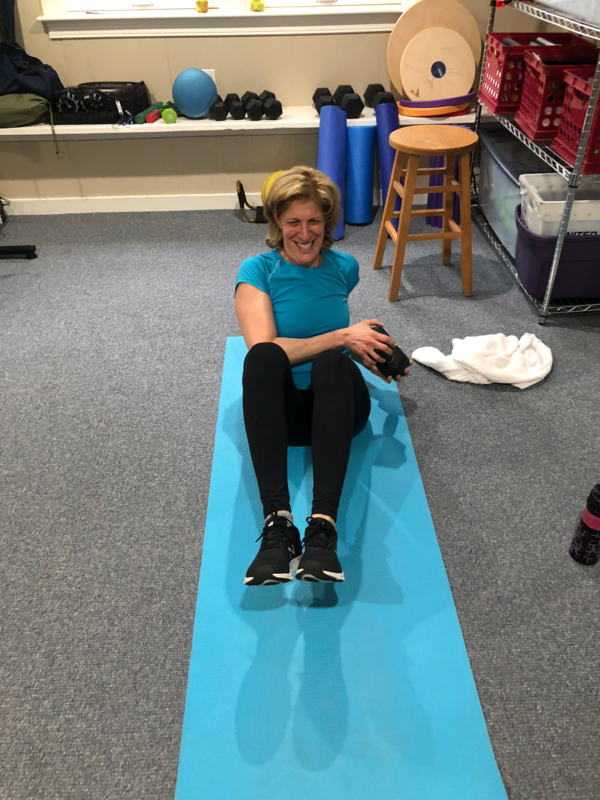 I started exercising because of life and work stress from my previous career, which led me to be hired as a sales & marketing director at a health club. I realized that the trainers weren't delivering the product that I was selling, and decided to get certified in personal training. 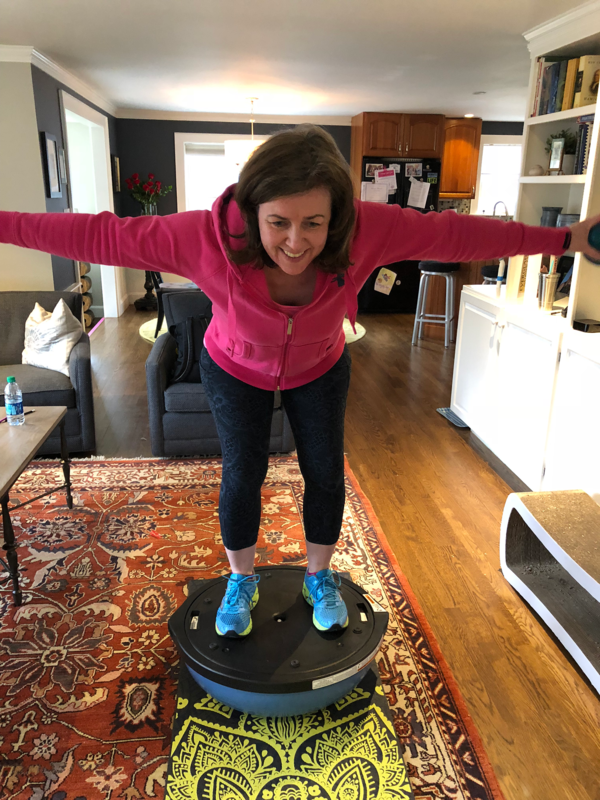 What I thought would be a "job" became a passion, and I was soon hired as the Personal Training Director at a start-up health club in Needham. 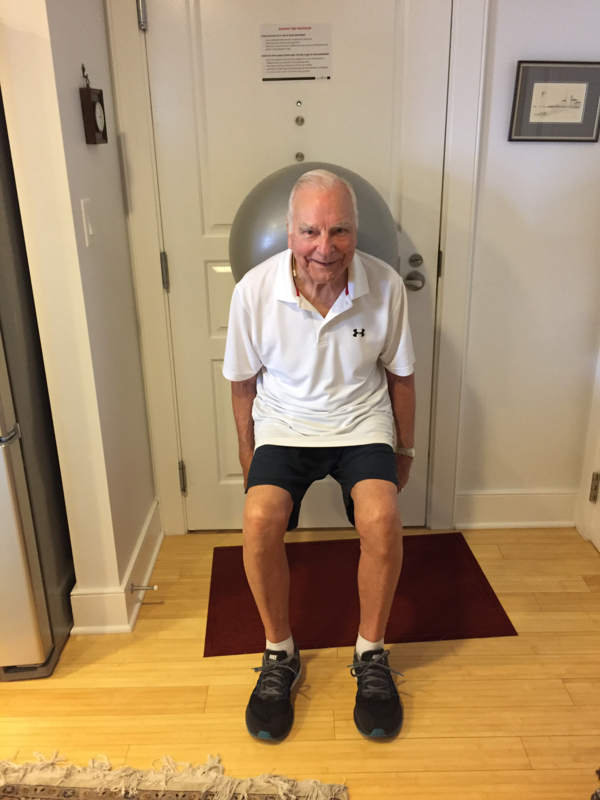 After several years, it became clear that convenience is the number one reason people stick with an exercise program, so I decided to accommodate my busy clients in the privacy and convenience of their own homes, saving them travel time and money. 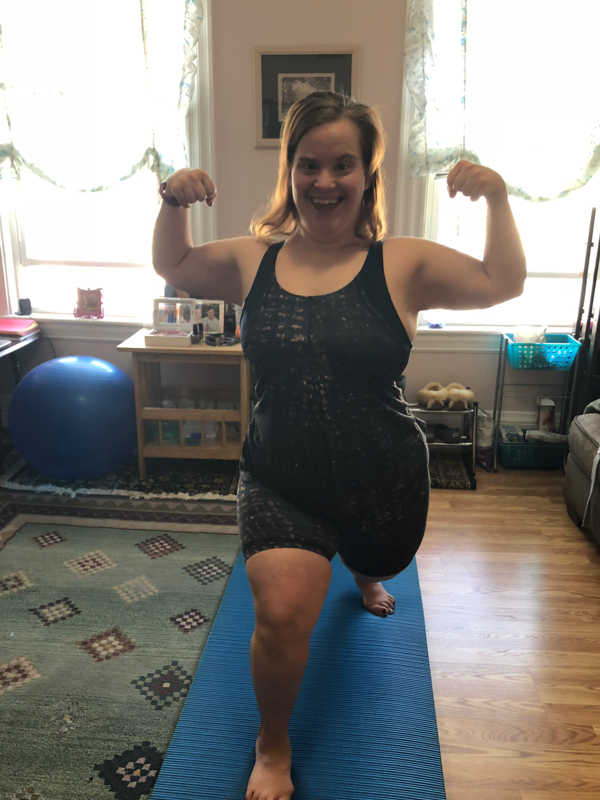 I hold certifications from the American Counsel of Exercise and the American College of Sports Medicine; via the ACSM, I also received the Certified Inclusion Fitness Trainer certification, allowing me to work with clients with physical, emotional, and intellectual disabilities. 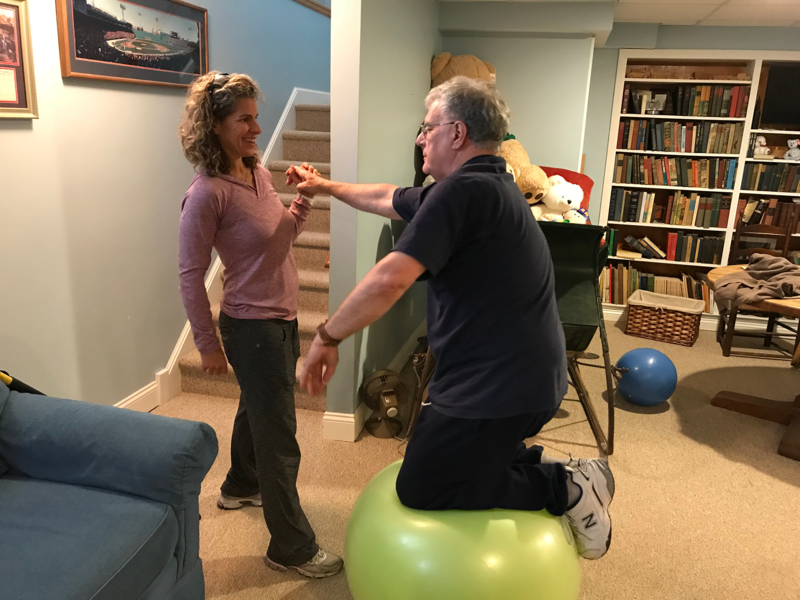 My CIFT clients include stroke survivors, Parkinsons' patients, spinal cord injuries, dementia, Aspergers/Autism, Down Syndrome, and depression. I am also a Certified Golf Conditioning Specialist and Nutrition Counselor. 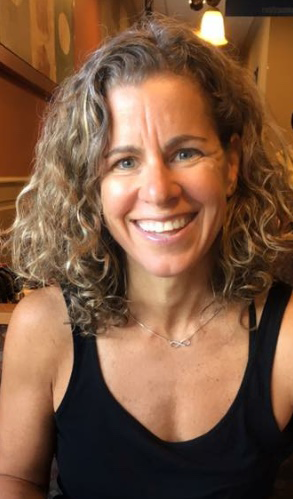 When I'm not motivating clients, I'm trying to motivate myself - I love to compete in triathlons - whether it's a swim/bike/run or a massage/facial/manicure! And I enjoy cooking (no, it's not always healthy food!). "The difference between try and triumph is a little 'umph'"
Whether you're a busy executive, a former athlete, or you've never exercised in your life - personal training can be essential to getting (or staying) stronger! 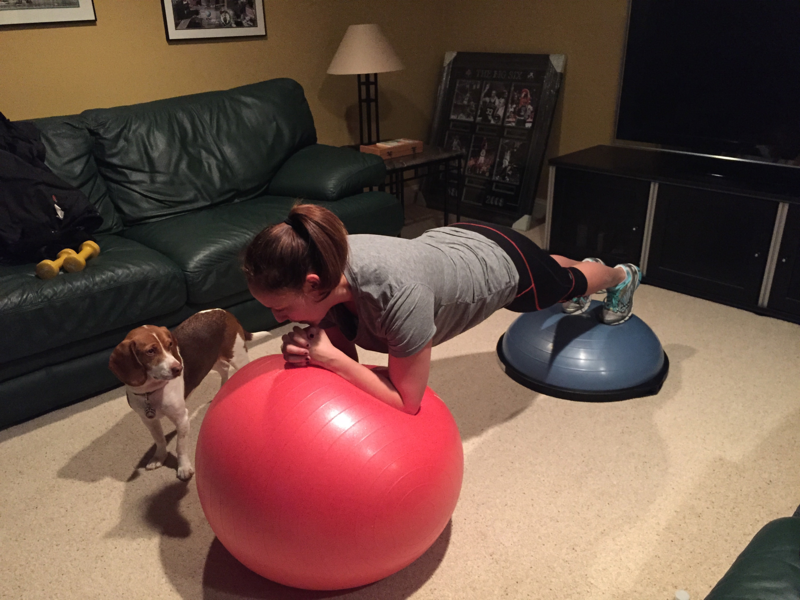 I'll create specific workout plans just for you based on the goals you want to achieve - whether it's as simple as losing a few pounds, as difficult as rehabbing post-surgery, or somewhere in between, I can help! 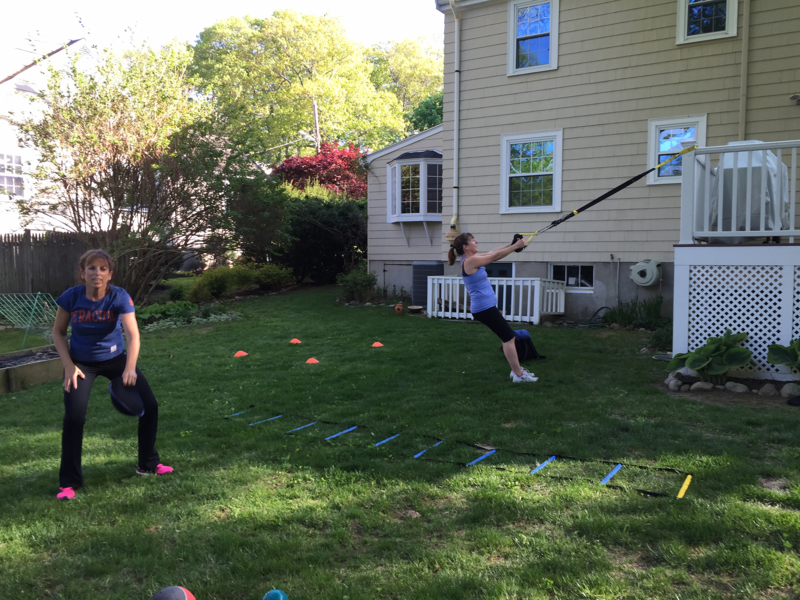 This isn't a one-size-fits-all workout routine you'd find in a book or magazine. The plan is tailored to your goals, needs, and allowances for your current physical condition and medical background. And I promise, you will not be bored! Even if you "hate" to exercise, I'll find something you like to do that involves movement, and we'll work from there. We'll also make adjustments as your fitness level improves to ensure continued progress; so you won't plateau or feel stuck in the same old routine. Your safety is my top priority. All eyes are on you and your form to ensure that you get stronger without strain or injury. 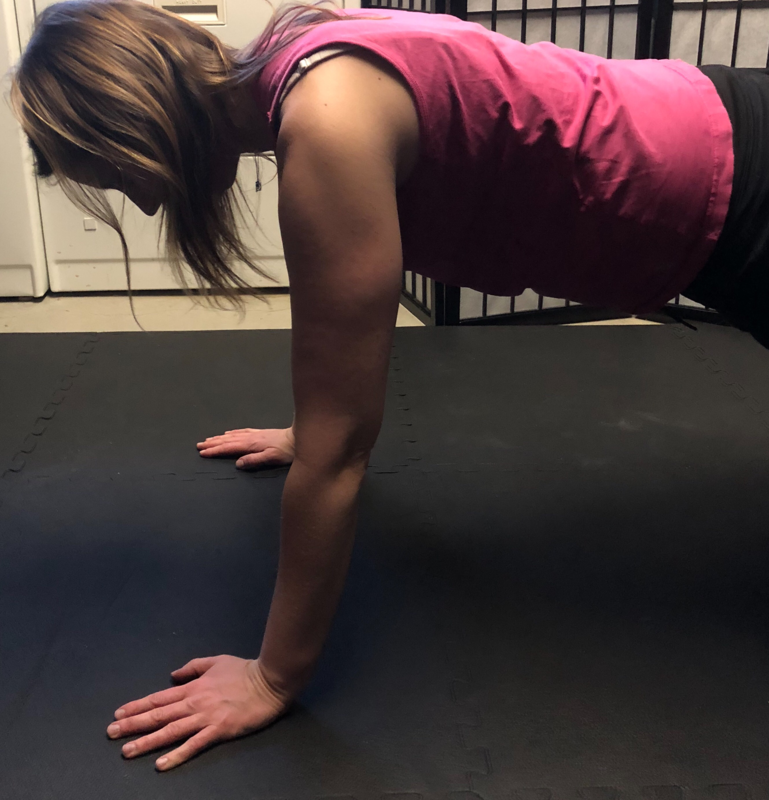 When you can perform a movement the right way, it increases the likelihood that you'll do it on your own at home or at the gym after your training sessions. 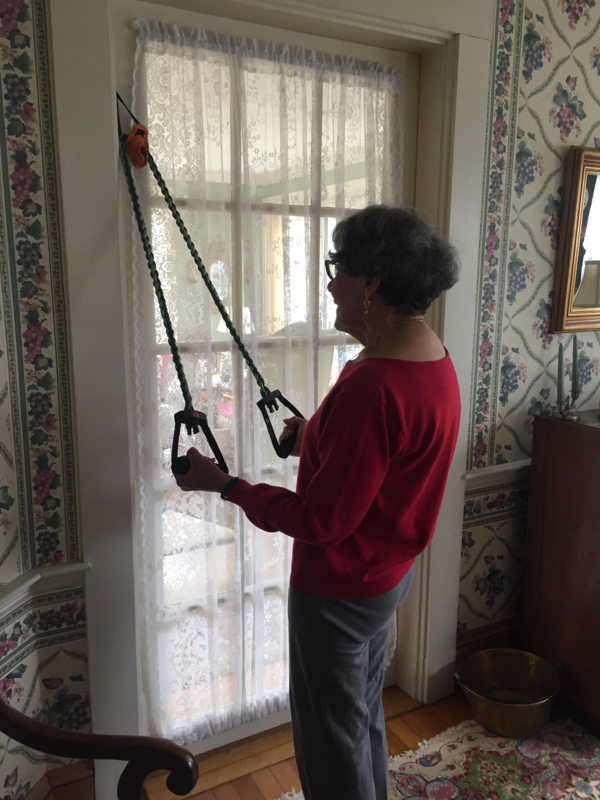 I see clients at their homes, and you DO NOT NEED A HOME GYM. As you'll see from my photo gallery, all I need is a small space and a willing participant. I bring everything we'll need. Sessions are booked in 30, 45, and 60-minute increments, at the rate of $65, $95, and $125, respectively. 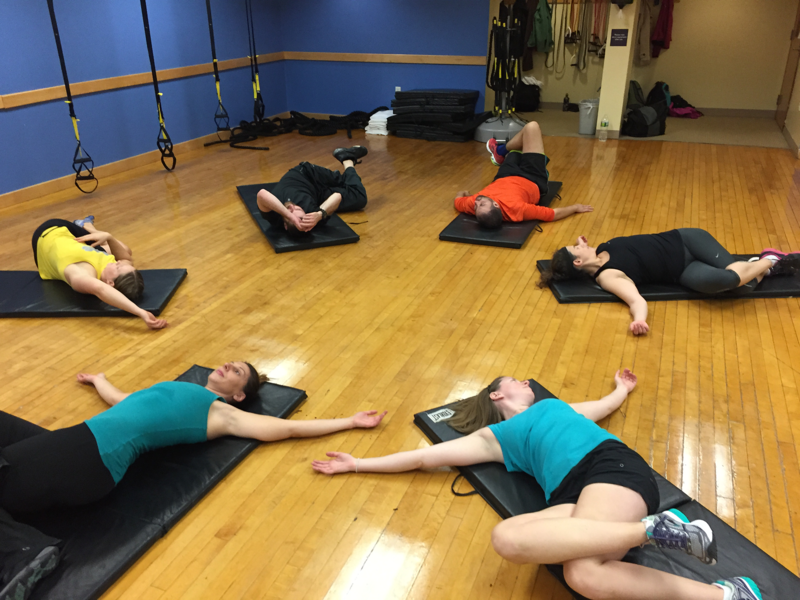 Together, we'll figure out the best use of that time - whether it's strength training, increasing flexibility or cardiovascular health, stretching, conditioning for a certain sport, or fine-tuning your nutrition. I see clients anywhere from twice a week to twice a year; we'll work within your schedule and budget. Be a Success Story - Contact Me! Are you a new client? Please fill out my intake form here!